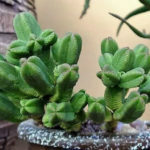 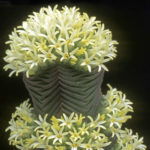 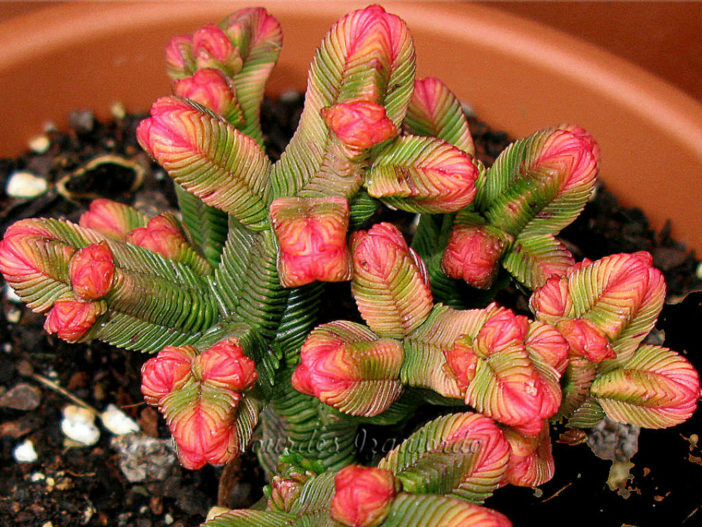 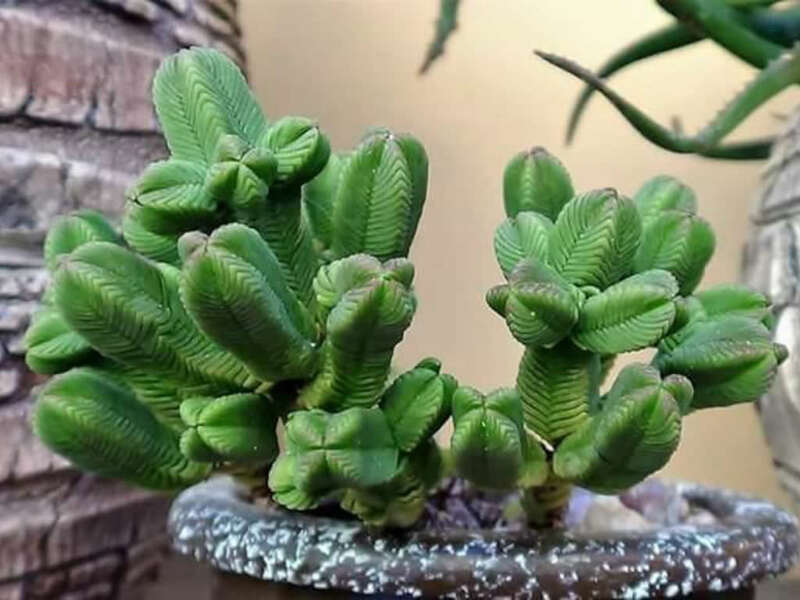 Crassula pyramidalis is a small, sparingly clustering succulent or small shrub, up to 4 inches (10 cm) tall with erect to decumbent stem, dichotomously branching. 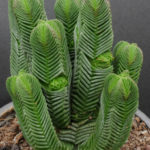 The leaves are small, thin, ascending, triangular-ovate, bright green to brownish green, up to 0.3 inch (8 mm) across, firm and closely stacked on top of each other. 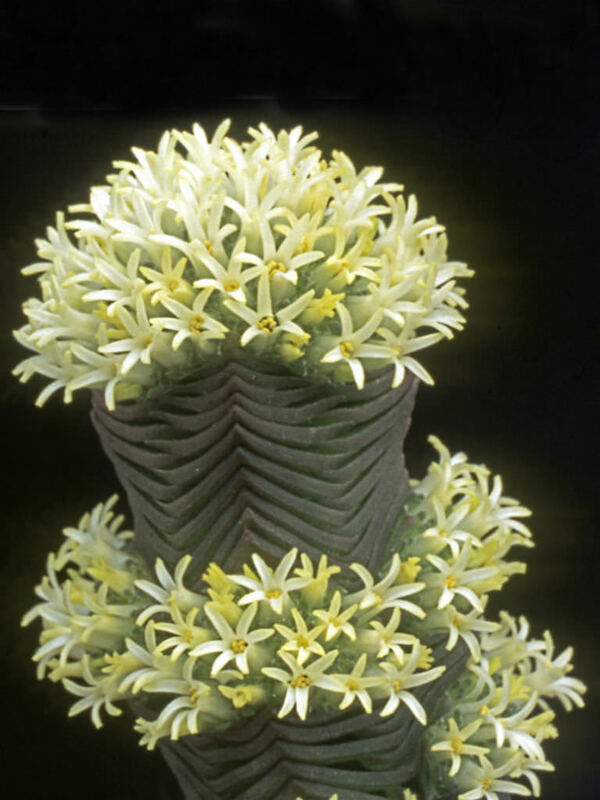 The flowers are small, white to cream pink, appearing in a dens terminal cluster. 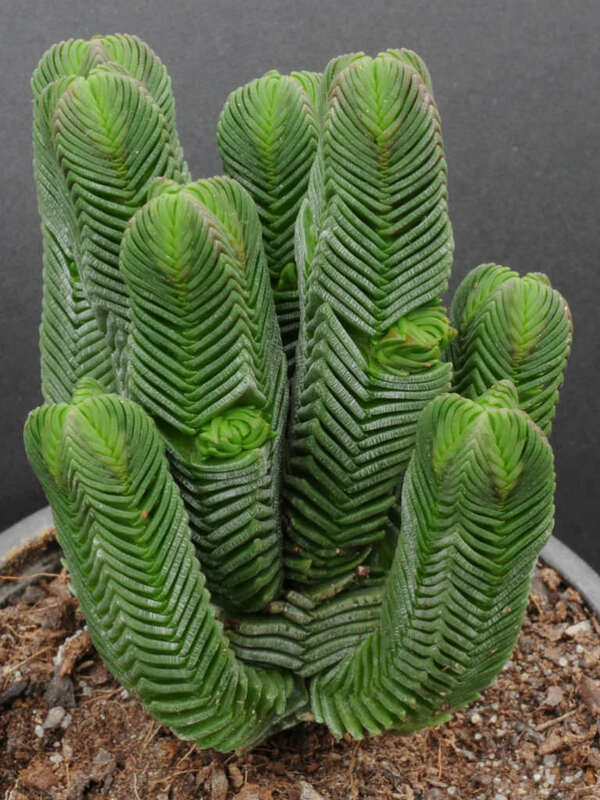 Native to South Africa (Eastern Cape, Northern Cape, Western Cape).